Free shipping. Buy direct from HP. 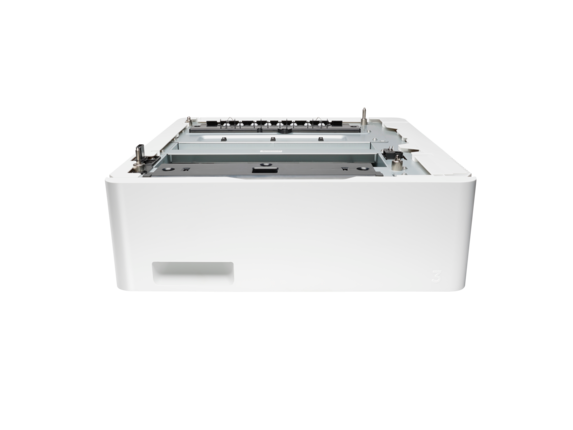 See customer reviews and comparisons for the HP LaserJet 550-sheet Feeder Tray. Upgrades and savings on select products. Manage your business, not your printer. Save time by refilling your paper trays less often. Add this 550-sheet paper tray, for a total input capacity of 850 sheets, and print for longer without reloading paper. With an added input capacity of 550-sheets and media flexibility, this accessory supports greater productivity and less printer management. Have different print media ready in the printer when you need it, and print up to 850 pages without reloading.